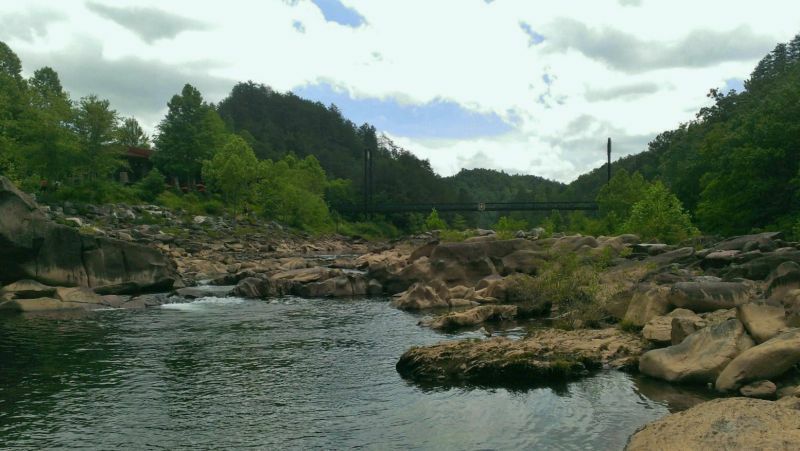 The Ocoee Whitewater Center is home to the Tanasi Trail system. Boasting more than 20 miles of trails, this trail system has it all. From a hike with history along the 2.4 mile restored segment of the Old Copper Road Trail, or an easy 1 mile stroll around the Olympic course at the Whitewater Center to a screaming 1.5 mile mountain bike ride on the Thunder Rock Express, mountain bikers and hikers alike will be challenged and rewarded when they reach the top of Bear Paw Loop and travel Chestnut Mountain Trail to sites that overlook the Whitewater Center and the Ocoee River. After a long hike, cool down by swimming in the well-known “blue” hole at the whitewater center! HELPFUL TIPS FROM LOCALS: This site requires a $3 parking fee. There are several great swimming spots along the way. Make sure the water is not generating for rafting before you enter the water. If the water is generating, entering the water is highly dangerous.